Thrash, beers and party! That’s the story behind Municipal Waste. 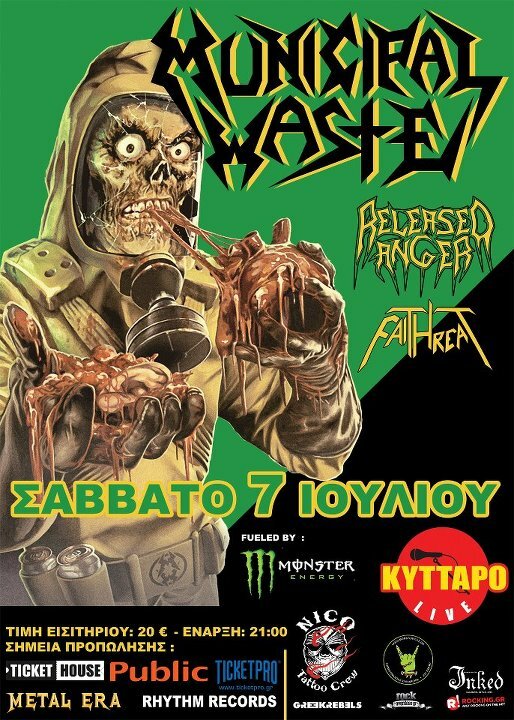 One of the best thrash/crossover bands whose live performances are already considered “extrahazardous” were back in Greece to inject some more moshing to the thrashing crew here. The support bands were Released Anger and Faithreat, both very good bands at what they do, they managed to do their part of warming up some necks. The place was crowded but not packed, a usual sight in concerts nowadays, but the feeling was all there. The club also had a protective bar placed in the front row to prevent people from jumping into the stage. That was a first. Faithreat hit the stage and despite the fact that I’ve never seen them or heard about them, they were kicking asses and taking names with a certain ease. They are very tight as a band and they managed to pass their energy on to the crowd from the first moment. I can’t define them under a certain music style –which isn’t necessary a bad thing- their influences are mainly punk/crossover/thrash/metalcore/speed metal. Definitely a very good band to see on stage and I can’t wait to see them again. The next band to hit the stage was a well known name in the Greek underground scene, Released Anger. What can I say about this band besides that, every time that I see them play it seems better than the previous one. They’ve definitely had their own big share of playing live and know well how to take the stage by storm. The bands sound is 100% old school thrash stuff, it is like witnessing a revival of the glory days of the good old German thrash scene! John and Dimitris the bands guitar players, leave you no choice of resting your head for a while and combined with the extreme drumming of Jan, it’s like having a bulldozer running through your house during the middle of the night. Devastating! Dinos their vocalist was also in great shape like always and that completed the package perfectly. The only bad point was a serious injury that Dinos had after the concert and had to be rushed at the hospital urgently. Get well soon dude! Time for the party-thrash band from the U.S. to put their money where their mouth is. Having missed their previous gig here I highly anticipated this one. They are certainly a band that has made a good name for herself in a very short time and I wanted to see if they could actually deliver all that on stage. Sadly there wasn’t too much of a crowd but all of them were there with a purpose. MOSH! Despite the obvious lack of crowd there were actually people there from other parts of Greece as well. Now that’s dedication people! For a little more than an hour Municipal Waste actually OWNED the club and the crowd. The situation there was beyond words. An seemingly endless mosh pit from the beginning to the end is the only thing I can say about the crowd. The boys from Virginia gave their best self even if it was for only an hour. Tony Foresta possesses so much theatricality and energy that he is a league of his own. Ryan Waste is a real crowd pleaser also. 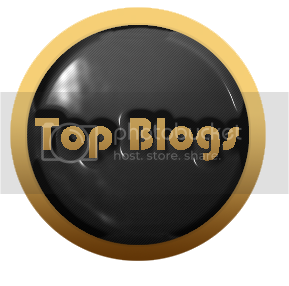 Never stopping joking about stuff and keeping the party mood high, ranks this concert among the best that took place in Greece during this year. It’s a year that we need a good dose of laughter and party with all the stuff that’s taking place here. We all left the club with our heads buzzing, our jaws dropped and under the sounds of Phil Collins (!) playing. Excellent night!